I attended the FIN's Friends launch at Rogers Arena on Thursday evening. FIN's Friends is a character education program, geared toward Kindergarten to Grade 3 students in British Columbia. The program is directly aligned with the BC Performance Standards for Social Responsibility and funding is provided by the Canucks for Kids Fund. 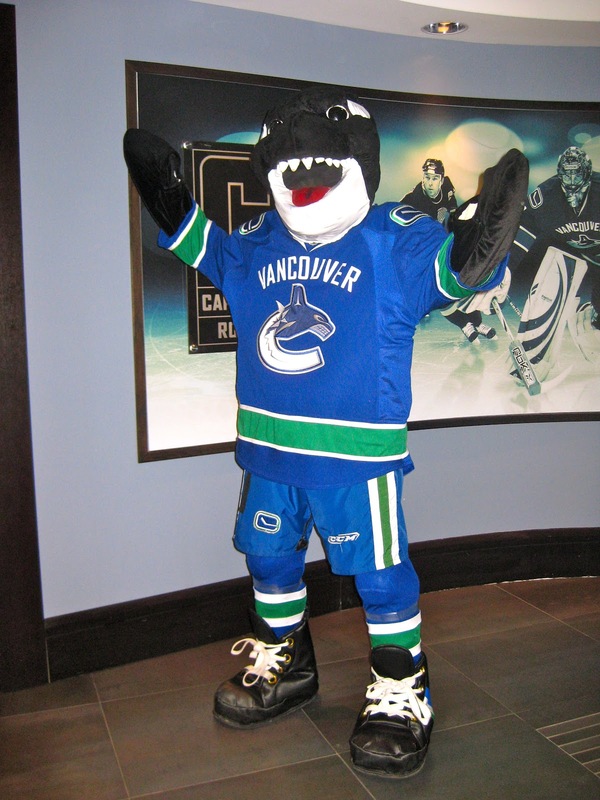 For those of you who are not from BC, Fin is the mascot for our NHL team, the Vancouver Canucks. When I arrived, I was provided with a bag of goodies, including bookmarks and certificates for my students, a puck, a Fin puppet, a Fin stuffy, and four hardcover picture books to go along with the lessons that could be downloaded online. I have been using the Second Step program for the past few years, but I am excited to incorporate some of the ideas from FIN's Friends into my social responsibility training. Many of the goals are the same but FIN's Friends simplifies the terminology to make it easier for students to solve problems. Plus, the students can relate more to Fin than they can to the children on the Second Step cards. Best of all, FIN's Friends is free to teachers in the Lower Mainland. Although it's too late to register for this school year, you might want to keep FIN's Friends in mind for next year. I’ve nominated your blog for an award! Visit the link below to copy/paste the Blog on Fire button. Share seven things about yourself and pass the award along to some "hot" blogs you follow. Congrats and Happy October! Hi there Nicole! I am currently teaching 4th grade, but I will be moving to a new school and teaching 2nd grade. I am excited! I was checking out your blog and came across a familiar uniform and had to say hi. :) I am a die hard San Jose SHARKS fan! So needless to say, I couldn't resist. :) I think it's great that you have you class involved in your local sports and educational program!